On December 10, 2014, during the 95th anniversary of the National Labor Inspectorate in the Świętokrzyskie Philharmonic, the National Labor Inspectorate in Kielce honored companies from the Świętokrzyskie Region in the “Pracodawca-Organizator Pracy Bezpiecznej” (“Employer-Organizer of Safe Work”) competition. The aim of the competition organized by the National Labor Inspectorate is to promote the best practices in occupational safety and protection, including inspiring employers to create safe and ergonomic jobs. The awards for safe work were given in three categories, depending on the number of employees. 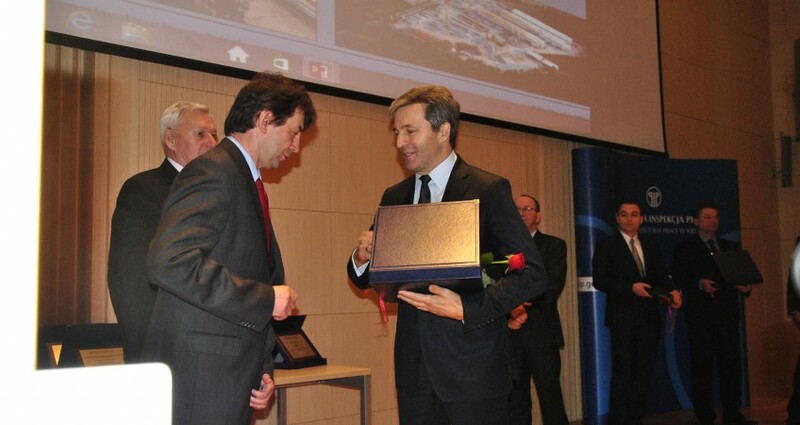 Strunobet-Migacz won first place among the employers in the category of facilities employing 51 to 250 employees.